Looking for a fun game that encourages children to read without them knowing? 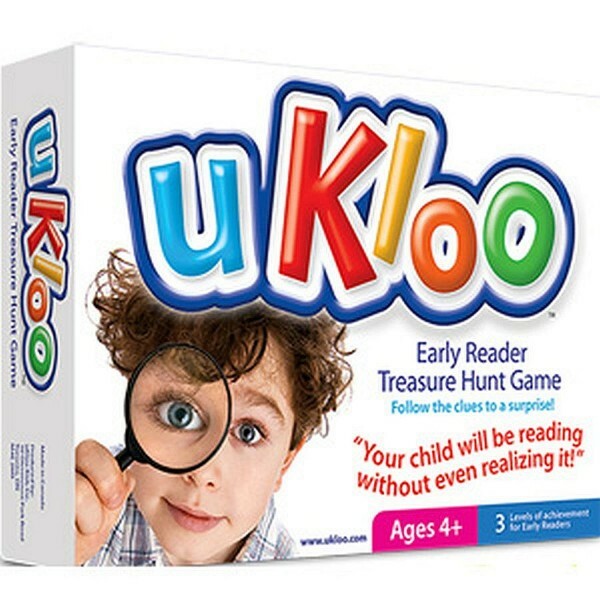 Turning your home into the game board and getting kids physically active, uKloo is perfect for beginner readers, reluctant readers, ADD and ADHD children, autistic kids and English as a second language students. The game includes three levels of direction cards such as "Look in your shoe" and "Find it in the sock beside the dryer". These cards are hidden around the house and your child will read each card to find the next clue until they reach their surprise at the end! During the hunt, they can refer to a poster guide with pictures and words that will help them learn to read. Parents are in charge with uKloo! After all who knows their kids best? Parents decide which cards to use, how many cards to leave out and what SURPRISE will best motivate their child! Featured on ''Dragon`s Den'' and winner of 6 awards as shown below - this game is a must-have for any home with children. Read our blog featuring uKloo!